We always seek to collaborate with other organizations and initiatives that strive to help newcomers and expats to settle and thrive in Sweden. Meet some of our partners below. New in Sweden (NiS) is a membership service that provides personal support and all the information needed (in English) for expats to move to, live in and enjoy life in Sweden. Swedish for Professionals teamed up with New in Sweden in 2017 and, together with Mundus International, we produce the State of Expat Life in Sweden survey. Members sign up online before they move over (or shortly after they arrive), join a community of members and get two year’s access to our support team and information. The information is kept right up-to-date and all provided in English. NiS doesn’t link out to other sites but makes sure that everything from timetables to forms is available on the member’s pages, saving time and a lot of effort for members. The NiS support team are there to handle specific needs, such as helping get furniture repaired that was damaged in the move over to providing information on internationally-available English television channels. Where a relocation agency is used, NiS take over once housing and schools have been found and the expats have arrived in Sweden. Mundus International provides insights to Sweden. On the surface, Sweden appears similar to other western countries, but its business culture, political structure and decision-making processes are actually quite different. Understanding where things are different is the key to professional success here. Our products are written for an international audience and are read by leading expatriate businesspeople, global MBA students, and diplomats. The daily news service, Mundus News, is curated for professionals and delivered by email each weekday morning, ensuring that you are aware of the key domestic Swedish political, financial, business and economic stories. For time-poor executives who can’t afford to miss the key stories, Mundus Business Insights condenses last week’s business and finance news, as well as trade and economic statistics. It includes a weekly video commentary of Nordic stock markets and coverage of the start-up scene curated intelligently for professionals. Mundus International researches and publishes monthly analyses. The Monthly Policy Review is an in-depth analysis of four current affairs topics each month, ensuring that readers understand and interpret Sweden issues correctly. Are you looking for talented and qualified professionals with an international background to join your organization? Incluso specializes in recruitment and staffing services with focus on international talent. Through Incluso, you will find the skills and competence you are looking for. Inclusos recruitment and staffing solutions help to strengthen your team, reach your long-term diversity and inclusion goals, and work for social commitment. For more information visit www.incluso.se or contact David Lundborg, CEO, david@incluso.se. Beyond by Andpeople AB (Andpeople) is located in Sweden but are working with global consultancy with international clients. Andpeople is specialized in providing strategic advice, analysis and professional development related to the digital transformation in combination with the current operational business. 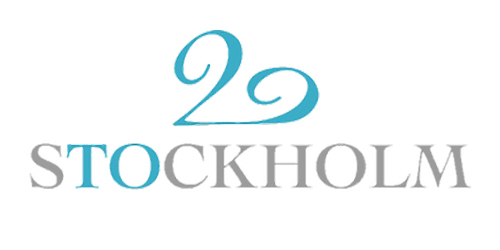 The team has a long experience with small entrepreneurial companies as well as large listed groups with international business. 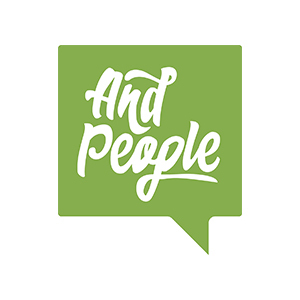 Andpeople helps their clients to continuously improve operational business and trains leaders with a strong focus on leadership, corporate culture, digital thinking and innovation. Read more about our new program here. ToStockholm AB works with expats, diplomats, and other visitors – helping them feel at home in their new environment. ToStockholm offers a “Welcoming Orientation Tour” which includes a tour by car of the area the person has moved to – where to find his/ her local doctor (and assist with the registration), dentist, recycling plant, swimming pool, gym etc. A visit to a local supermarket explaining the various Swedish foods is included as well. The tour continues in the city pointing out places of interest including a brief history of Stockholm and Sweden. Somewhere on the way, there is a stop for a meal or fika when ToStockholm introduces the newcomers to the Swedish traditions, foods, do’s and dont’s etc. Sometimes newcomers might want help getting acquainted with the different areas and suburbs of Stockholm, before deciding where they would like to live and ToStockholm can also assist with that, showing what each area has to offer. ToStockholm also arranges in-house presentations and Welcome Orientation Tours for smaller or larger groups (by bus). For visitors, Guided Tours of the City are also offered. All the tours are with a certified Stockholm guide. For more information, tips, recipes etc. you can check ToStockholm’s website www.tostockholm.com.